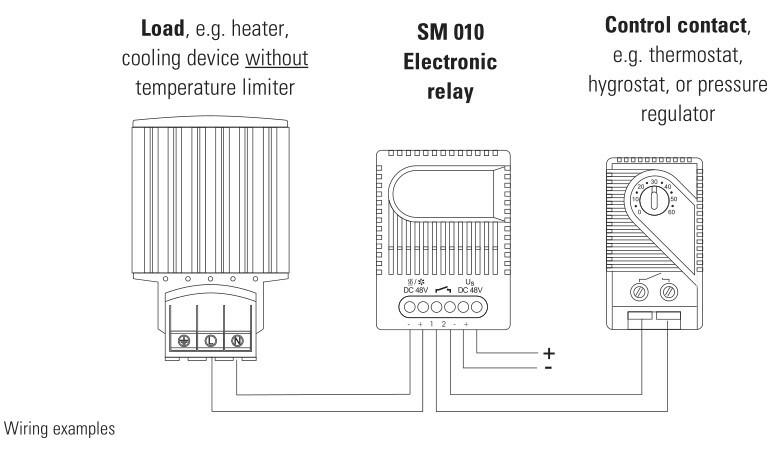 The SM 010 Electronic Relay is used for switching high powered DC operated equipment, such as heaters, up to 16 amps. A separate conventional switch contact is used as controller (e.g. thermostat, hygrostat). 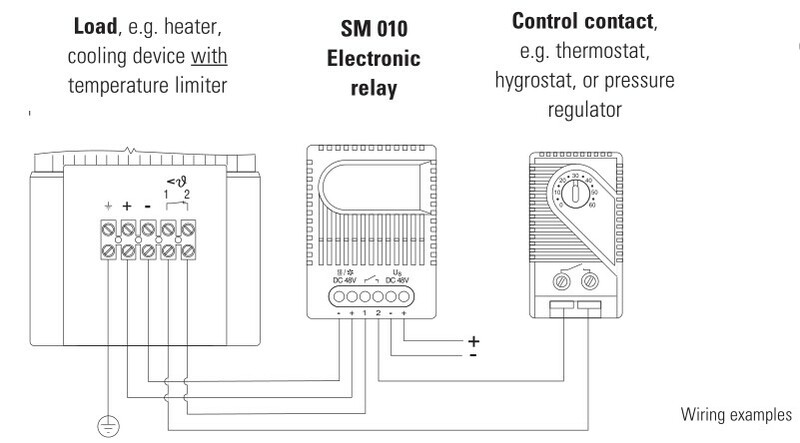 The electronic relay is available in DC 24 V and DC 48 V versions.